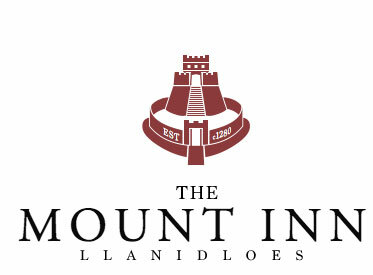 A non-political, non-profit, self-funded, independent organisation run by local volunteers to promote Llanidloes, the Cambrian Mountains and the surrounding areas in mid Wales. We are a group of mountaineers, hill-walkers, and those with passion for exploring the great outdoors. We also have experience and common interest in hosting trekking and high endurance mountain events, and formed "Cambrian Mountain Events" to deliver a series of fully supported superbly organised Events to like-minded people. The primary objective of Cambrian Mountain Events is to promote the lesser known Cambrian Mountains, local areas, local communities and local business; whilst also using it as a platform to raise awareness and promote a group of hardworking, no-nonsense, and worthy charities we support. Please feel free to browse the Events below. The links will direct you to the respective event page and registration. Our motto is to “Challenge Boundaries” where our endurance events will test your physical and mental resolve by pushing you to your limits; test your perceived boundaries beyond your wildest expectations; but will still give you the opportunity to experience the tranquil beauty of wilds in the Cambrian Mountain, with the confidence that you are fully supported by an experienced team from start to finish. Have you got want it takes? ….. do you dare?? …..
We also support and assist in the organisation of a series of local community events, which are also listed in the event section below. We strive to offer something for everybody of all ages and abilities. We welcome and encourage entrants to use the events to raise awareness and funds for established charities they support, where we will help spread the word and promote their efforts in our event marking and promotional activities. 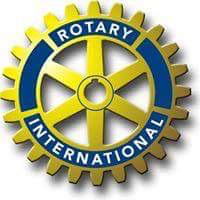 As a group we raise awareness and support the Gurkha Welfare Trust, Veterans 4 Wildlife, and local Rotary International Clubs fundraising campaigns; in supporting these hardworking no-nonsense charitable organisations, which entrants are welcomed and encouraged to help support and promote as well. Please visit our Facebook Page which is regularly updated with information pertaining to the events, and used by the administration team as a forum for discussions associated with the events. A 40km (25mile) endurance challenge from East to West across the Cambrian Mountains. Based on the Celtic myth of Sabrina, a water nymph said to inhabit the waters of the River Severn, we have created a 25 mile circular route called the Sarn Sabrina and a shorter 12 mile route called the Semi-Sabrina to cater for all abilities. High Walk - summer "a special edition"
An opportunity to take-on the gruelling 25k route in the height of summer with hopefully the comfort of daylight and fair weather in your favour; or "do you dare" to take-on the day time challenge followed by the even more intense "Recoil" dark moon version on the same Night?? CME are proud to announce our affiliation with the "2019 Creative Rugby Heart Of Wales 7s" (HOW7s) weekend, in hosting a 10k and Mini Trail for the Event. The HOW7s event is a weekend of fun and activities for the whole family in the heart of the Cambrian Mountains. 50k (30mile) route over the Cambrian Mountains to commemorate the third Pumlumon River Sister "Wye", on a spectacular course over mountain tops, through dark forests and deep valleys. The third and final Three Sisters Challenge Event. A circa 60k challenge along the Dragons Trail from "Sea to Summit". A combination of Track, Trail and Minor Roads make up this exciting and challenging spine course through stunning valleys and over some spectacular mountains in the Cambrian Range from Clarach Bay near Aberystwyth to Llanidloes in the heart of the Cambrian Mountains. A choice of either a circa 25k "Osprey Trail" around the picturesque Llyn Clywedog Reservoir or a circa 10k "Red Kite Trail" on an equally stunning route overlooking the reservoir. A mid-autumn community event in the heart of the Cambrian Mountains. It's your challenge - open to Walk, Hike, TaB or Run the trails. Sunday 15th September 2019 "COMING SOON"
The return of the "race to the sea" - the 50k challenge is hosted for the second year running to hike, walk, TaB or race along Ystwyth Way - it's your challenge to commemorate the 2nd Pumlumion River Sister Ystwyth, in following her hasty course through the tranquil and scenic valleys of the Cambrian Mountains. Saturday 19th October 2019 "COMING SOON"
The Tinsel Run returns for the second year running. The exciting "Tinsel 10k" for those who wish to take a pre-festive challenge and 2.5k "Mini Tinsel Trail" for the budding under 11 Junior Trekkers. A pre-festive community event for the whole family - open to walk, hike, TaB or run the course. Saturday 15th December 2019 "COMING SOON"
All the events are fully supported from the start to the finish, with emergency rendezvous points (ERVs) approximately every 2.5miles and Check points (CPs) approximately every 5miles, which are manned by experienced Event Marshals and Event Support Staff. At the end of the Event all participants who successfully complete the Event will receive a unique event specific award and be treated to a catered meal with refreshments in a quirky Public House in the historic market town of Llanidloes, at a renowned CME post-event get-together. We look forward to seeing you on our next event. Cambrian Mountain Events are proud to support the fantastic efforts of the Gurkha Welfare Trust and Veterans 4 Wildlife. Saturday 27th of January 2018. COMPLETED. Saturday 31st March 2018. COMPLETED. Sunday 6th of May 2018. COMPLETED. Saturday 26th of May 2018. COMPLETED. Saturday 23rd of June 2018. COMPLETED. Saturday 30th of June 2018. COMPLETED. Saturday 29th September 2018. COMPLETED. CME 2018 "Race to the Sea"
The 50k Race to Sea is a fully supported event with intermittent Check Points and Rendezvous Points at regular intervals; on a route that is waymarked from Start to Finish. Mae'r 50k Râs ir Môr wedi ei drefnu gyda Phwyntiau Gwirio a Mannau Cyfarfod rheolaidd ar lwybr a bydd arwyddion i ddangos y ffordd o'r Dechrau i'r Diwedd.